The ELS/Berkeley center and student residence option is located inside Hillside Hall, a private facility with well-equipped classrooms, a full service cafeteria and comfortable dormitory rooms shared with University of California Berkeley students. This location is within walking-distance of the UC Berkeley campus, Bears sports stadium, International House and Berkeleys many popular attractions, restaurants, cafes and shops. 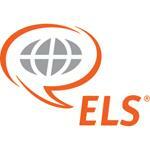 Since 1961, ELS Language Centers has helped more than 1,000,000 international students from more than 140 countries around the world learn English quickly and effectively. Programs include: Intensive, Semi-Intensive and American Explorer English programs; Prep Program for the TOEFL ®iBT, GRE® and GMAT®; Business English; Vacation Learning Programs; Youth Programs; and Executive Programs. Over 50 great locations across the US, most on university campuses; state-of-the-art ELS language technology centers; no TOEFL required for admission to 600+ US colleges and universities with completion of ELS Intensive English programs; ELS University admission services. ELS students may choose optional airport pickup service (additional cost). All students receive free arrival orientation and assistance from the center International Student advisor, which includes assistance with visa-related questions or concerns. ELS/Berkeley students have access to various recreational facilities near the UC Berkeley campus and special opportunities for discounted UC Berkeley events. Other optional center activities and weekend excursions are also available. Intensive program students receive college or university counseling assistance or may choose additional assistance before or after arrival through our ELS University Placement Service. ELS Language Centers has a special partnership with the University of California Berkeley Extension that offers Conditional Admission to its International Diploma Programs to ELS students who complete ELS level 112 of our Intensive English Program.Over 500 universities and colleges in the USA accept completion of key levels of the ELS Intensive and Fast Track programs in place of their TOEFL requirements and/or other standardized English proficiency admissions tests. Most of these schools also offer Conditional Admission and many offer special opportunities or discounts to qualified ELS graduates. Internship Experiences are available after completion of advanced levels of the Intensive English Program and a minimum of 2 sessions study. Private tutoring may be available upon special request. The center provides a wide range of services that include airport meeting, assistance with housing, cultural orientation, help with immigration matters, college admissions counseling, and sponsorship of a variety of social and recreational activities. All ELS Centers plan a wide range of activities for students, from sightseeing visits to local attractions, to sporting events, to trips to nearby theaters, museums, and restaurants, American conversation partners and, of course, excursions to shopping malls and amusement parks! Complement your English language studies in our new, state-of-the-art ELS Language Technology Centers. Available at all ELS locations, our Language Technology Centers offer students the opportunity to focus on individual skills that need improvement.